OKLAHOMA CITY --The Oklahoma Department of Human Services (DHS) Joint Citizens Advisory Panel will hold its first meeting Wednesday, August 14, at the Credit Union House, 631 East Hill Street in Oklahoma City, beginning at 10 a.m.
House Bill 3137 from 2012 established four citizen advisory panels in the areas of administration, aging issues, children and family issues, and disability issues. They will serve to provide advice, information, findings and analysis to the Director regarding policies and practices of DHS and their impact on outcomes. The panels will study and make recommendations to the Director regarding the management and operation of DHS, and will also offer recommendations for the implementation of the Pinnacle Plan. Each advisory panel will meet at least four times a year; the entire Joint Citizens Advisory Panel will meet at least once a year. 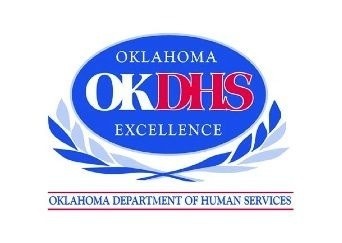 The Human Services Commission for the DHS was abolished by the voters of Oklahoma on Nov. 6, 2012 with the passage of State Question State Question 765. Previously, the Commission had oversight of DHS, but the passage of SQ 765 means that the Director of DHS makes all decisions for the agency and reports directly to the Governor. The four citizen advisory panels will report to the Director and provide advice and recommendations on Administration issues, Aging issues, Children and Family issues, and Disability issues. 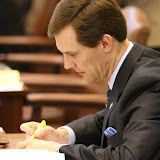 Each advisory panel has five members, with one member on each panel appointed by the Governor, the Speaker of the House, the Senate Pro Tempore, the Minority House Leader and the Minority Senate Leader. Aug. 14, 2013 10 a.m.
Go to http://www.okdhs.org/divisionsoffices/panel/default.htm for additional information and a complete list of scheduled meetings. Happy 15th Anniversary Lori - I love you!